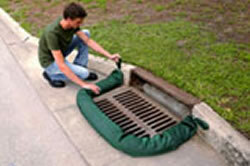 Compost filter socks are a great alternative to any silt fence or perimeter control device. 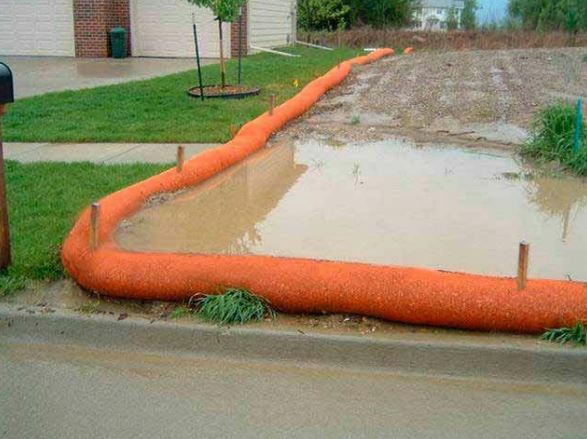 Designed to address stormwater runoff, our filter socks serve the dual purpose of filtering water flows and preventing further erosion from the site. Compost socks have been used along concrete jobs sites, parking lots, work areas and other locations where sediment control is required. Compost socks are constructed from a UV-stabilized polypropylene netting and is filled with a blend of 2" and 3" wood shavings and compost. 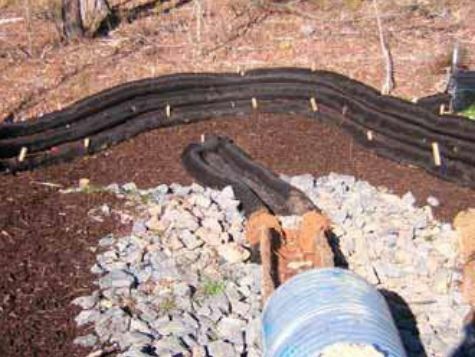 Compost filter socks are typically eight to twelve inches in diameter, but also come in multiple lengths to meet the requirements of your site. Questions the compost filter sock? We can help! Call our team at 1-772-646-0597 or fill out our quote request form to discuss your requirements. 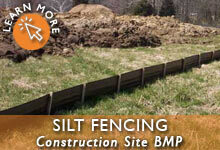 Diameter: 8", 12", 18", or 24"
View all the Sediment Erosion Control Products from GEI Works. 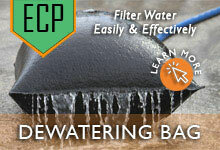 Questions about a compost filter sock? We can help! Call our team at 1-772-646-0597 or fill out our quote request form to discuss your requirements.